Should You Open A Stereo Store? 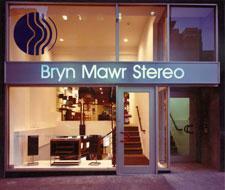 It's a crazy question, isn't it: should you (or someone you know) open a stereo store? It's no breaking news story that the traditional stereo store has been vanishing from the mainstream retail landscape, but is the business model totally dead, or is there still life left in what was once a pretty fantastic business. Let's look at the pros and cons. • The traditional business model is dead. • People now buy their TVs on the Internet or at Costco. • There isn't enough margin in the cheap AV gear. • The cheap gear keeps getting better and better, while the expensive gear gets more and more pricey. • The next generation of buyers (Millennials) don't have the patience to listen to music like the Generation Xers or Baby Boomers before them. • Retail overhead is costly in many parts of the country, and stereo stores need room to demonstrate gear. • Clients aren't loyal to a retailer. They buy used, out-of-state, and gray-market product to save a buck, while retailers are forced to commit to overhead, including rent, insurance, salaries, flooring product, and beyond. • A-list franchises that wouldn't return your phone call 10 years ago will embrace a young, new dealer in nearly every part of the country today. • While AV gear is getting less and less expensive, it's also getting more and more complicated - thus an expert is generally worth his or her time for setup, calibration, integration, programming, and fine tuning. • Mass-market flat TVs and cheap soundbars don't offer much profit opportunity, but there are hundreds of other brands in nearly every category that do. For example, top-of-the-line flat HDTVs have okay (not great) margins for those who can sell high-performance (often Ultra HD) sets. Speakers, electronics, cables, accessories, and many other categories offer more than fair margin compared with other luxury retail opportunities. • Millennials love music more than any generation before them. They think it's perfectly normal to have 10,000 songs in the palm of their hand, along with 100 movies on their iPad. Millennials also represent the largest-sized demographic ever in United States history - bigger than Baby Boomers - thus they have a potential buying power unlike any group before them. The problem? Millennials were sold on $100,000-plus college educations (mostly paid with debt) that were timed poorly with the collapse of the economy in late 2008. Most Millennials haven't seen a good economy. They have little to no choice but to live with their parents or to watch movies on their $500 tablet. But will they someday get married, buy a house, have kids, and grow in a career? Bet on that happening, even if it's a little later in life than then generations before them. • Retail rent is a killer. Stores that acted like things would never change got stuck in bad leases during drastically changing markets. That factor alone could take down a specialty AV retailer. Today in every city in America, there are retail sublease and lease opportunities that are truly affordable based on past rates from five years ago. You can get more space for less money if that's what suits your market best, or you can get less space in a higher-traffic location. Often rent can also serve as a de facto advertising expense. While a high-end stereo store on Rodeo Drive would likely be cost prohibitive, it sure would get lots of traffic. A higher-end custom installation firm located next to a top architect's office or the local Sub Zero/Wolf dealer makes sense. • Customers are always right - even when they are wrong. Those who want to buy used need to be wooed to buy new. Offering trade-up programs that are beyond generous would be a start. Creating community at your store for those who buy gear from you is another way to get those people to spend with you - not on Audiogon.com for used gear. Extend warranties for clients that spend more than $10,000. Calibrate TVs for free for clients that line your pockets. Put together concert experiences with local promoters to do meet-and-greets backstage with photo opportunities that you (or your brands) pay for. Have your clients bring their wives. Allow your store to be used for school, social, and other events with specific targeting to the wives. Women buy differently than men, and one key difference is that, for the brands and stores that they love, they stay loyal. Owning a specialty AV store isn't for everybody, but there seems to be a lack of good, new blood looking at the retail side of our business. Yes, Amazon, Target, Walmart, and Costco have eaten up much of the market share lost from the likes of Circuit City, The Good Guys, Ultimate Electronics, Tweeter, Myer Emco, HiFi House, SoundEx, and so many others. But does that mean someone couldn't make a $250,000-per-year living running a modest, forward-thinking specialty AV retailer that understands new-school audio, video, integration, IT, calibration, and more? I think it's possible and likely very profitable. I know a few dozen AV industry people who have had careers in the business and are now being forced into "consulting" because they are too pricey to be worth it in today's AV marketplace. They should be at the front of the list to take $50,000 or $100,000 from their IRAs or get a little SBA loan and take on some risk. If you have no tolerance for risk, then stay home and don't expect to make $250,000-plus per year. If you are keen to actually doing creative marketing and creating loyalty with your enthusiast base - and you can affordably offer real-world value - I think the right people might just be looking at a multi-million-dollar opportunity. What do you think? Would you open a stereo store today? What factors most excite you about the idea? Which ones most scare you? Comment below - we want to hear from you. • AV Dealers Need Headphone Departments at HomeTheaterReview.com. • What Really Happened with the Closing of Sound By Singer and Why They Will Be Back Soon at HomeTheaterReview.com. • Five Reasons Why Best Buy Could End Up Like Circuit City at HomeTheaterReview.com. • How the Failure of Tweeter Killed Off the Mid-Fi Specialty AV Chain at HomeTheaterReview.com.